Get in the holiday gift-making spirit! Find holiday inspiration with more than 35 seasonal projects! 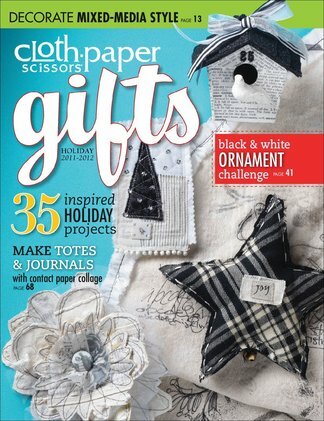 Let your imagination run wild with this 148-page special issue devoted to the art of mixed-media gift-giving! Geared towards art enthusiasts who want to make their very own gifts, home décor, wrappings, and more, Cloth Paper Scissors Gifts is full of holiday inspiration. Be the first person to tell us what you think about Cloth Paper Scissors Gifts and you'll save $5 on your next purchase! 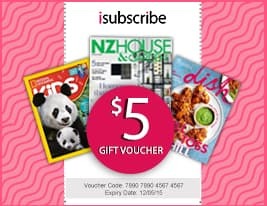 https://www.isubscribe.co.nz/cloth-paper-scissors-gifts-digital-subscription.cfm 14252 Cloth Paper Scissors Gifts https://www.isubscribe.co.nz/images/covers/nz/541/14252/square/ClothPaperScissorsGifts191694932.jpg NZD InStock /Digital/Crafts & Hobbies/Paper Get in the holiday gift-making spirit! Find holiday inspiration with more than 35 seasonal projects!